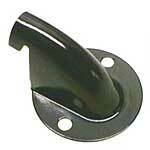 This special cast iron tail light bracket was used on the following vehicles: 1929-31 Station Wagon, 1930-31 Panel Delivery, 1930-31 Deluxe Delivery, 1930-31 Deluxe Pickup & Special Delivery. Made in USA. Tail light bracket for the 1929-37 model A Ford and Ford V8 pickup. 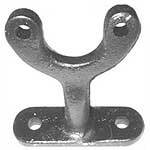 This ia a brand new manufacture of the cast iron bracket for the pick-up or the station wagon. Original Style 1929-31 tail light bracket bolt set with the special carriage style bolts with a larger than normal head. 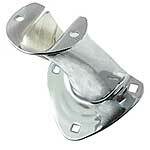 Used for bolting the tail light bracket to the fender. Comes in sets of 3. Made in USA. 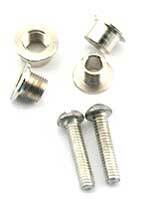 Stainless 1929-31 tail light bracket bolt set with the special carriage style bolts with a larger than normal head. 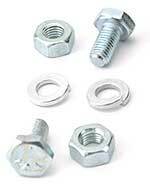 These are used for bolting the tail light bracket to the fender. Comes in sets of 3. Made in USA. 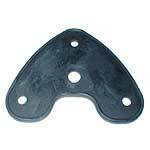 This is the moulded style rubber pad with a 1/8" rolled edge. Fits between fender and tail light bracket. Setr of two screws to mount the tail lamp to the bracket that comes off the rear fender. Consists od one set for one lamp. 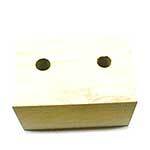 This is the wooden block for mounting the pick up tail light bracket to the bed. Goes between the fender bracket and the pick up bed sub rail. Made in USA. 1928-31 Model A Ford Tail light bracket for the Right side in Black finish. 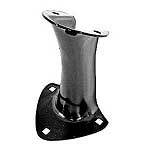 1928-31 Model A Ford Tail light bracket for the left side in Black finish. Right side model A Ford tail light bracket. Made of the same gauge steel as the original. 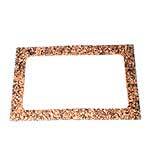 All holes are punched for mounting. Plain steel finish. Made in USA. Left side model A Ford tail light bracket. 1928-31 Model A Ford Tail light bracket for the Right side in chrome finish. 1928-31 Model A Ford Tail light bracket for the left side in chrome finish. 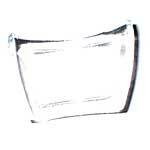 This is the clear lens for the model A tail light, where the light shines through onto the license plate. Made in USA. The two retainers, and screws to hold the license lens into the tail light. Made in USA. 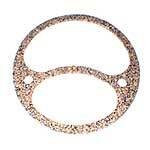 Number plate lens gasket for the clear license lens. Made in USA. Stainless Tail Lamp Rim for the 1928-31 Model A Ford. Tail light half amber lens for the 1929-31 Model A Ford. A glass lens with the red section for tail light, and amber for the stop light. Tail light All red lens for the 1929-31 Model A Ford. 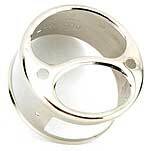 There are a few different manufacturers of these, so best to order in pairs, or they may not match. Tail light Stop lens for the 1929-31 Model A rear lamp. This is an all red glass lens with 'STOP' moulded into it in amber. 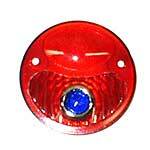 This is an all red model A Ford tail light lens with a glass blue dot installed in the stop section. The blue dot has a chrome trim ring around it. Made in USA. 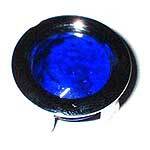 If you want to put your own blue dots in, we sell just the glass dot with a chrome rim. 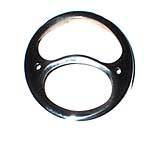 Originally, this snap ring was used to hold the lens in the tail light rim. 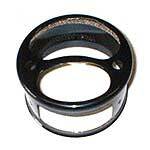 You first drop the rim gasket in the rim, next the lens, and then the snap ring. Made in USA. This gasket goes between the face of the tail light rim and the lens. (Some people put one on each side of the lens to help and avoid cracking the lens). Made in USA. 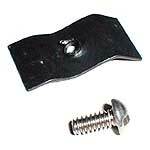 This plate is used under the fender when attaching the tail light bracket to the fender. Prevents fender from cracking. Made in USA. Tail light shield for the 1929-34 Fords. This metal shield covers the wires where they came out the back of the tail light on commercial vehicles. Bolts, nuts and lock washers to mount the 1930-31 style brake light switch to the cross member. Installed in the drum style tail light. It divides the tail lamp area from the stop lamp area. Made in USA. 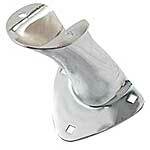 This is the rear lamp socket for use in the early drum tail light. Made in USA. 1928-29 Drum tail light body in nickel finish. This is the body only. It is a very nice reproduction. Made in USA. 1928-29 Drum tail light body in black finish. This is the tail light body only. Made in USA. 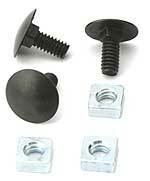 Drum tail light retainer screws for the 1928-29 model A Ford. The special hardware that was used on the drum style 1928-29 tail light to hold the tail light body and the lens on. Made in USA. 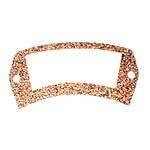 Tail light Stop face plate for the 1928-29 Model A Ford drum style rear lamp. The steel insert that fits behind the red lens with the word "STOP". 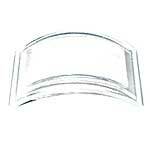 Tail light white license plate lens for the early drum type tail light. Made in USA. Tail light gasket for the license lens on the 1928 drum tail light. Made in USA. An all red lens for the 1928 drum style tail light. Made in USA. 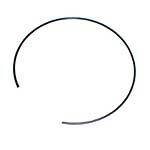 This is the round gasket for the red tail light lens on the early drum style reatr lamp. Made in USA. 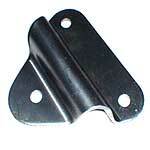 This tail light bracket was used on the pick up trucks that used the early drum style tail light. Made in USA. 1928-29 Model A coupe or roadster left rear light bracket . This bracket mounted to the body sub-frame with three bolts. It is for the Coupes & Roadsters that used the drum style tail light. Made in USA. 1928-29 Model A coupe or roadster right rear light bracket . This bracket mounted to the body sub-frame with three bolts. It is for the Coupes & Roadsters that used the drum style tail light. The A only had one on the left originally, so if you want to add this right tail light, you will have to drill the body sub frame. Made in USA. 1928-29 Model A sedan or phaeton left rear light bracket . This bracket mounted to the body sub-frame with three bolts. It is for the sedans and phaetons that used the drum style tail light. Made in USA. 1928-29 Model A sedan or phaeton right rear light bracket . This bracket mounted to the body sub-frame with three bolts. It is for the sedans and phaetons that used the drum style tail light. The A only had one on the left originally, so if you want to add this right tail light, you will have to drill the body sub frame. Made in USA.